Hydroseed Hawaii has extensive experience in Landscape and Irrigation installations. We have completed substantial projects on Oahu, Maui and the Island of Hawaii. Although our specialty is Hydraulic Planting, Hydroseed Hawaii has the people, equipment, and know-how to make any landscape and/or irrigation job a success. 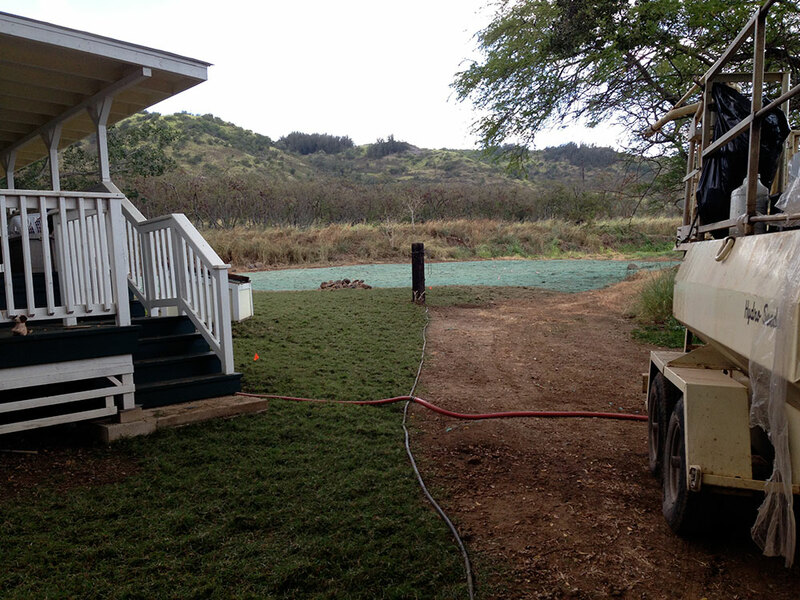 So whether your next project is a large industrial job, a Government project, or simply a new front lawn, call Hydroseed Hawaii for a free quote and complimentary consultation. You won't be disappointed, We Guarantee It!